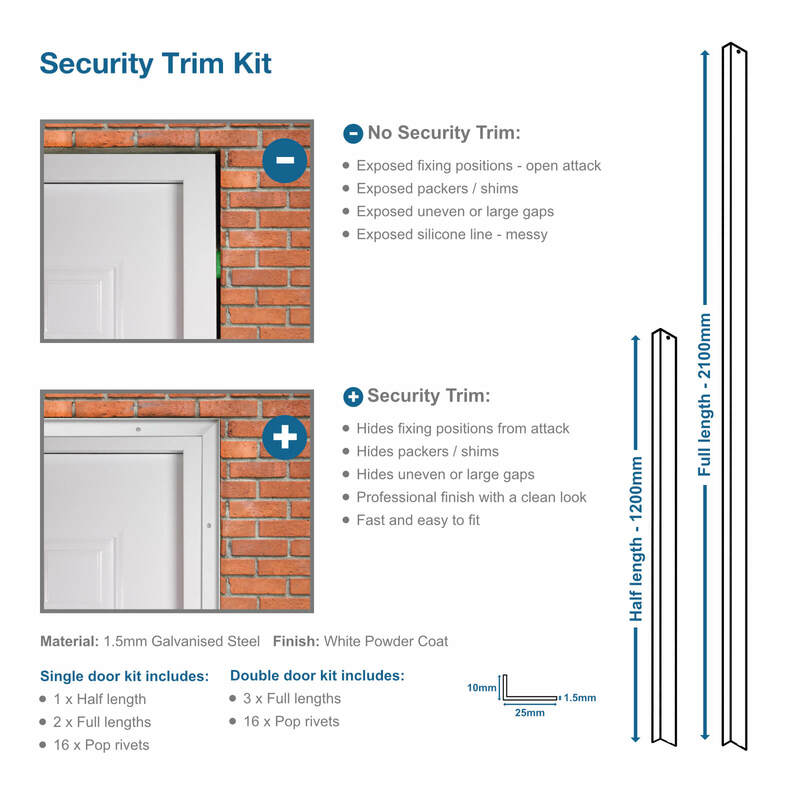 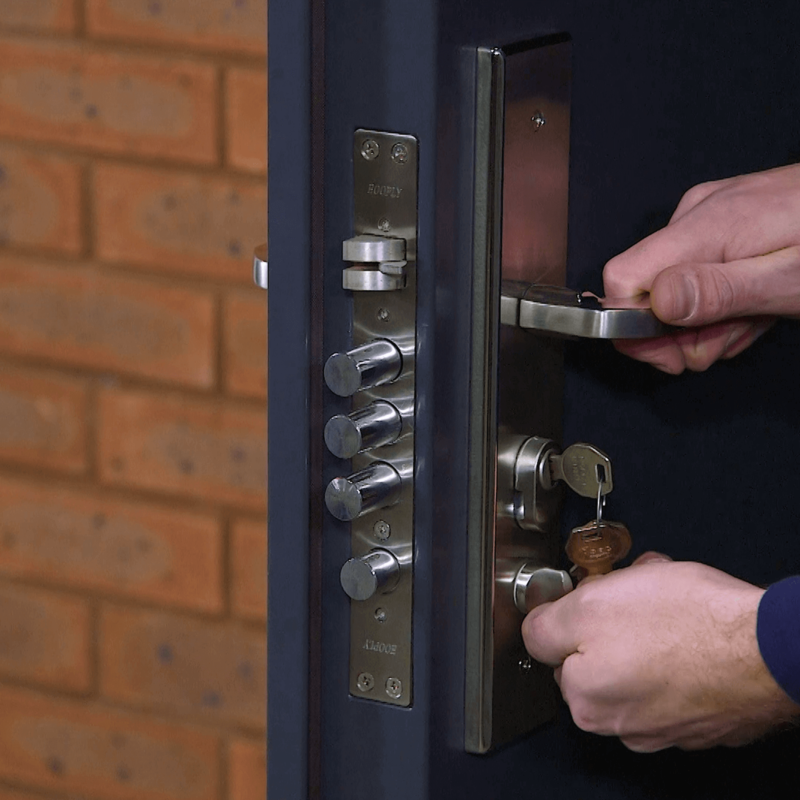 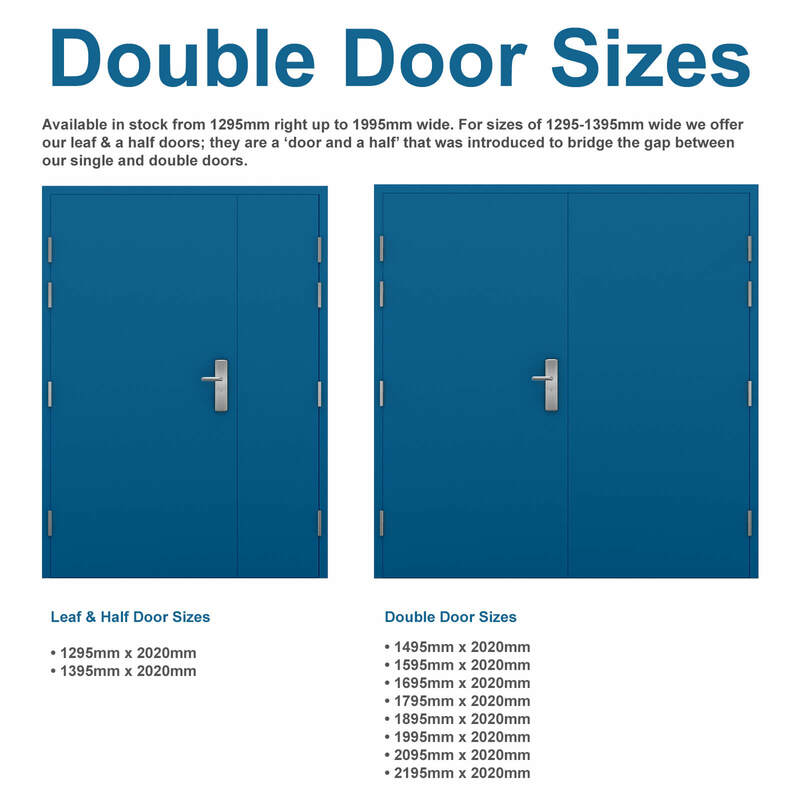 Our NEW Ultra Double Security Doors are available in a larger range of sizes, compared to our heavy duty double steel door range: 1295mm – 2195mm wide. 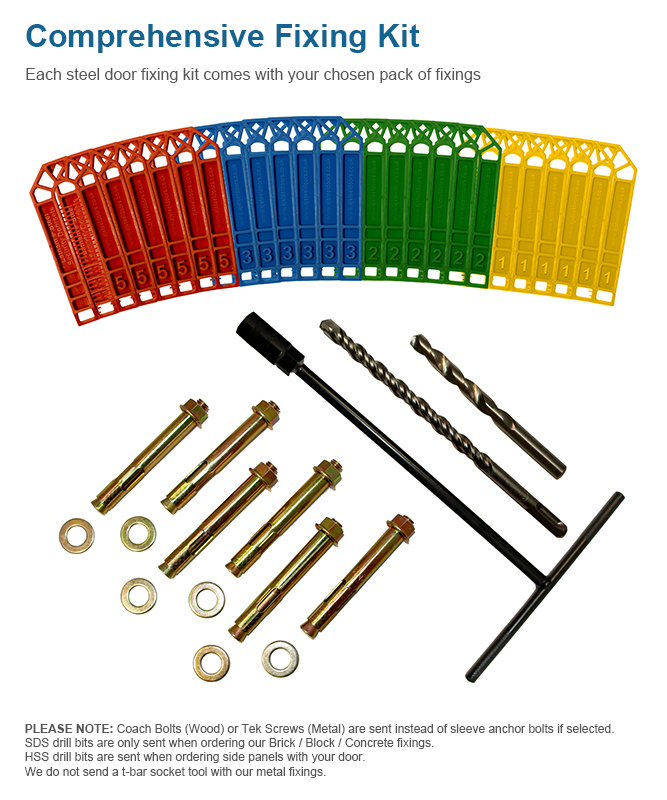 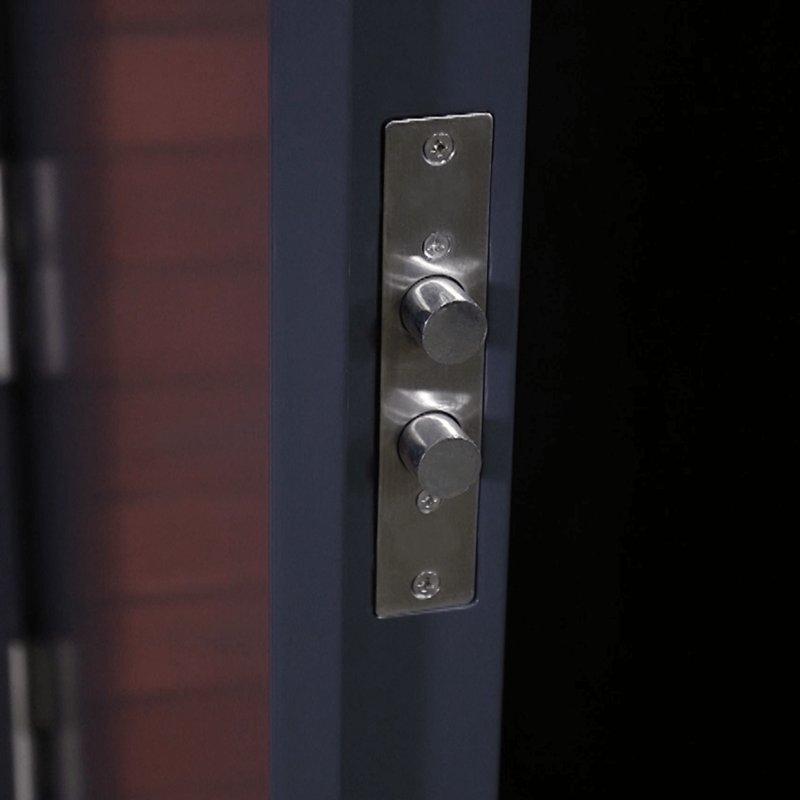 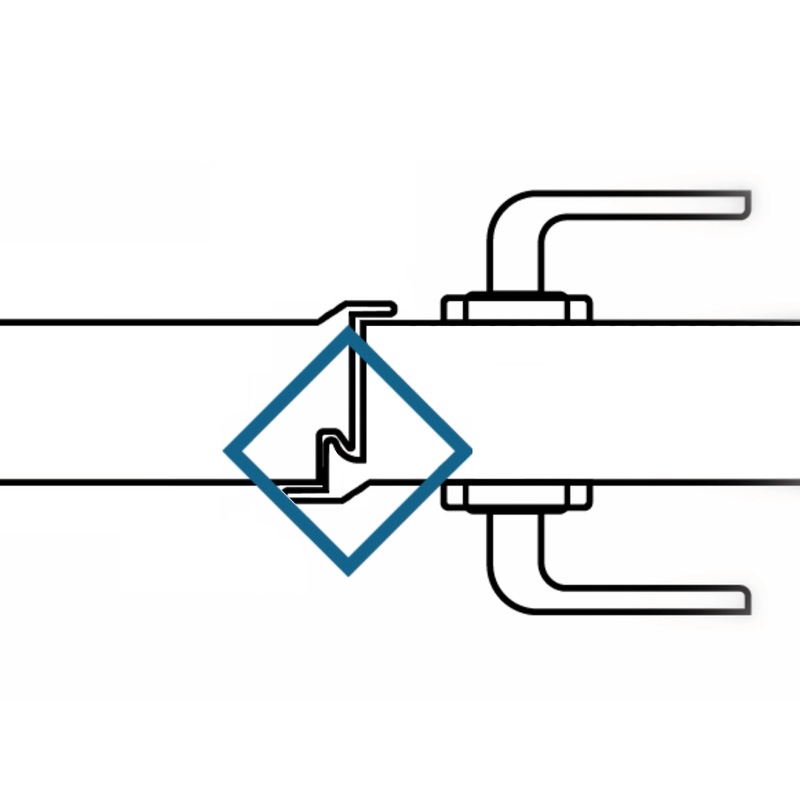 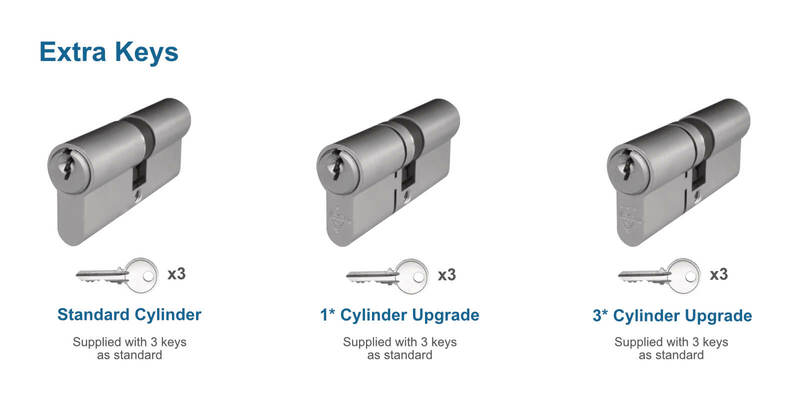 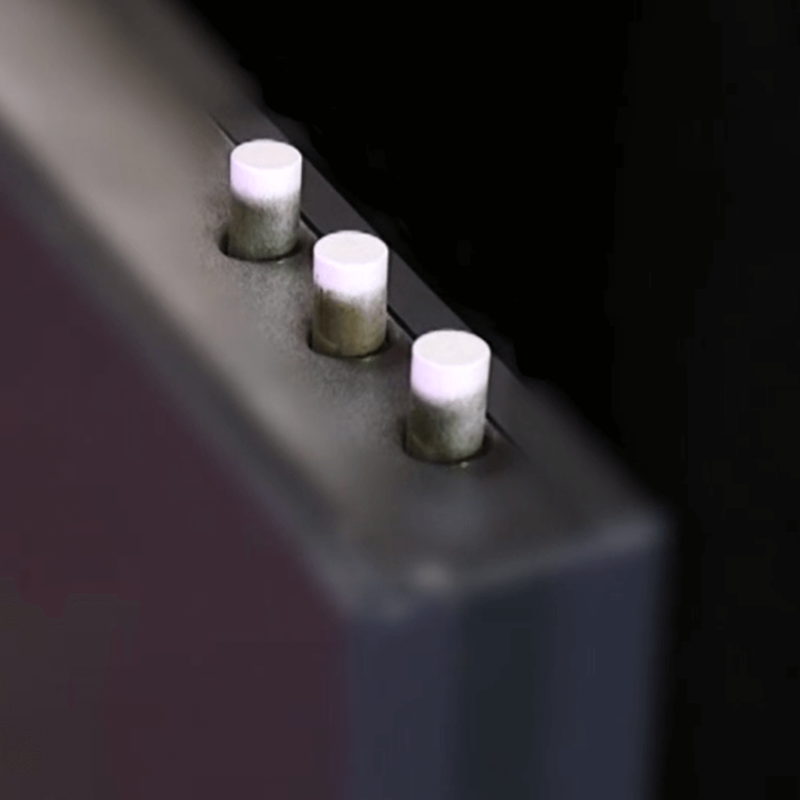 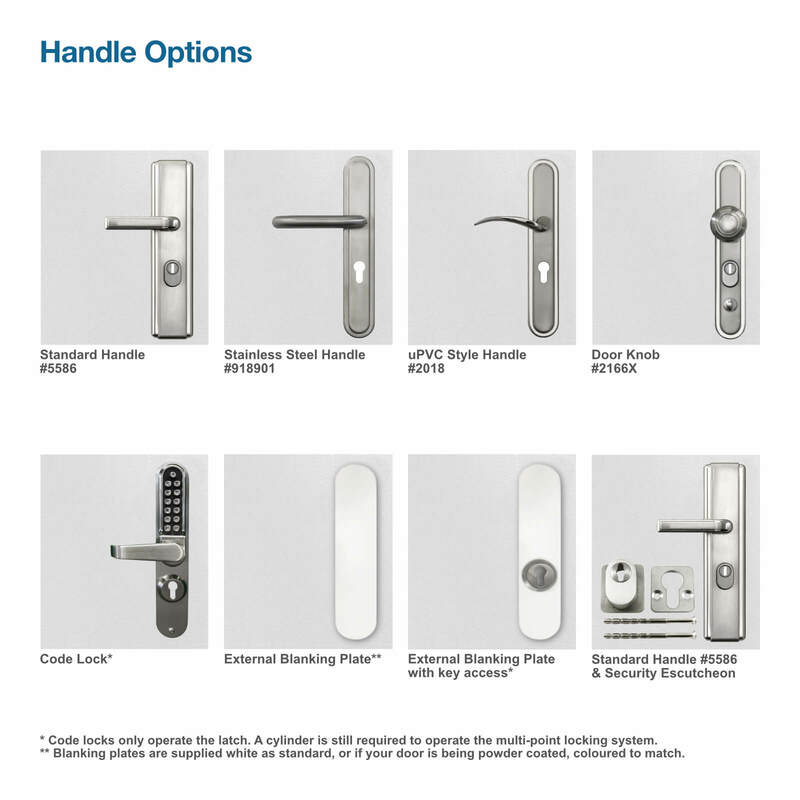 They feature a heavier duty multi point locking system with additional locking shoot bolts. 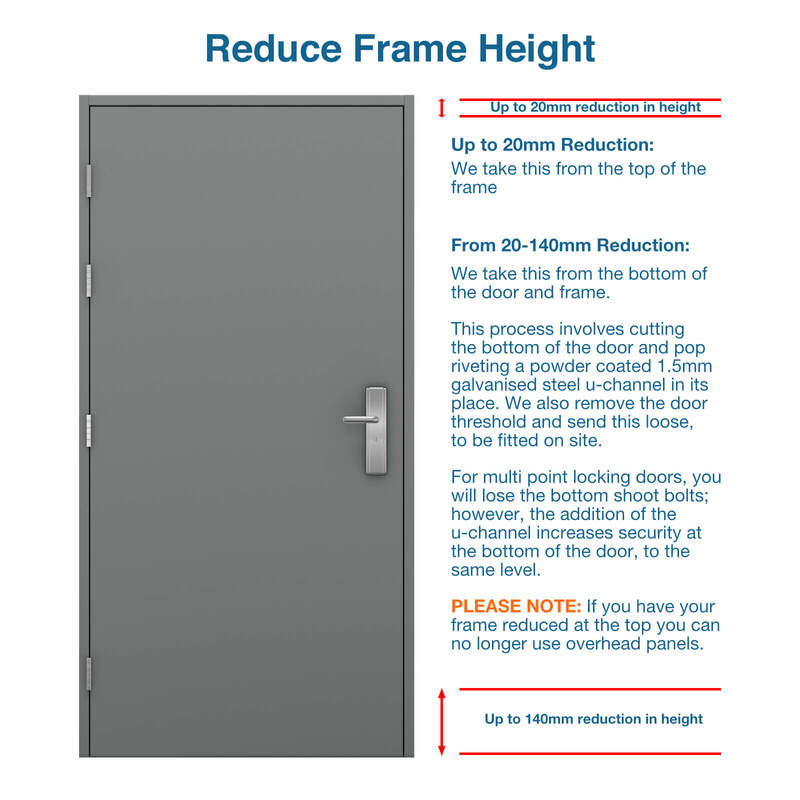 This door has 4mm iron bars internally, an integrated innovative barb-like jemmy bar lip, and is 20mm thicker than the heavy duty doors. 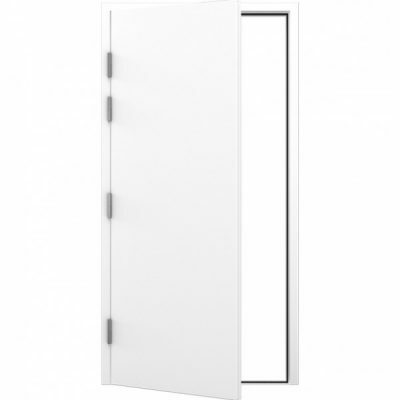 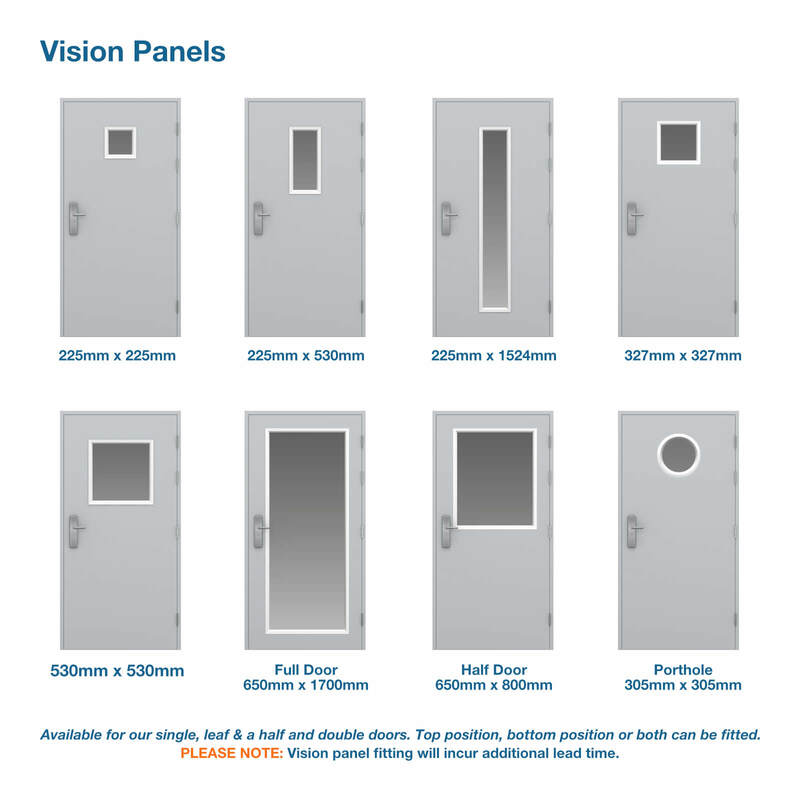 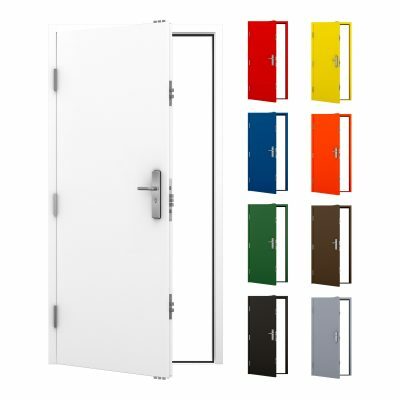 See our single ultra security steel door here, available in sizes 795-995mm wide. 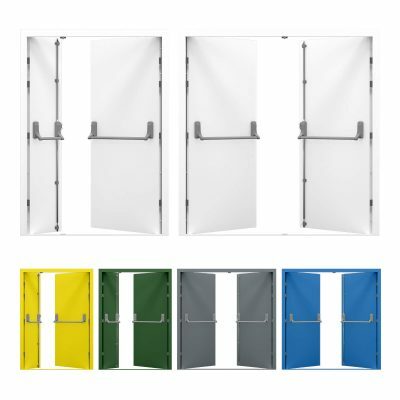 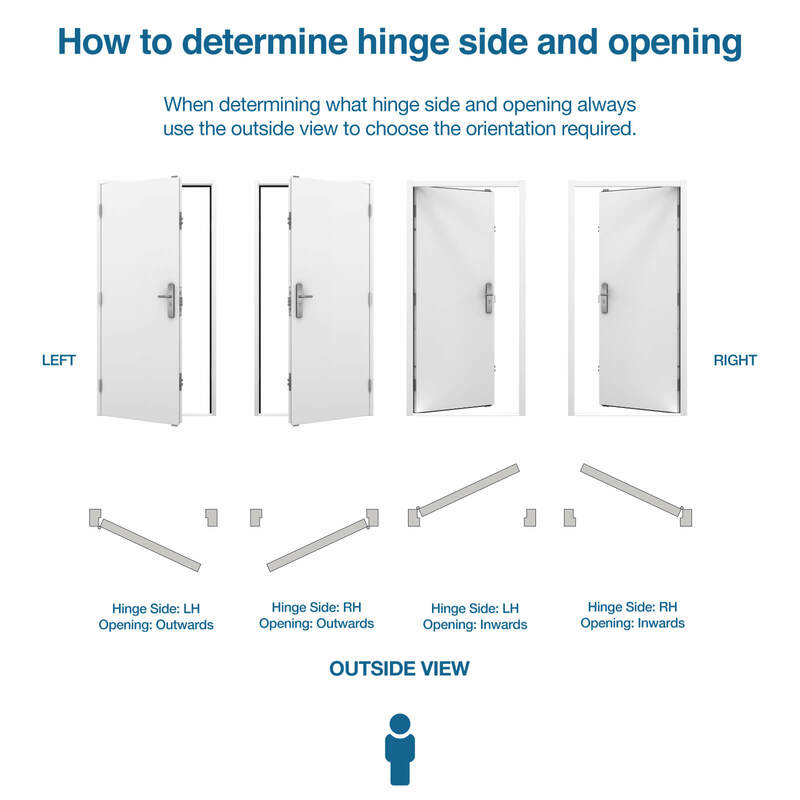 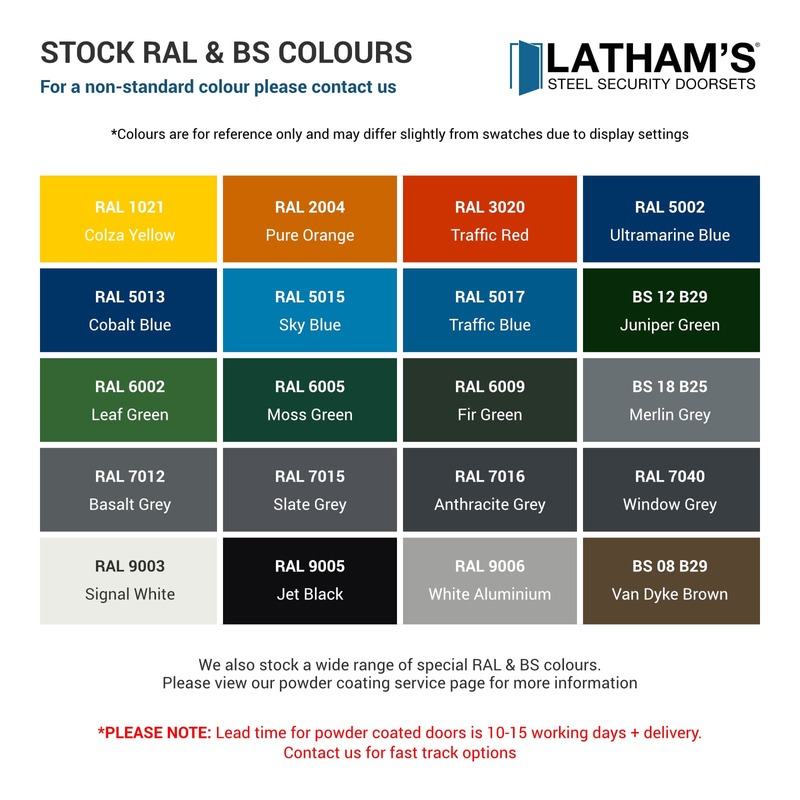 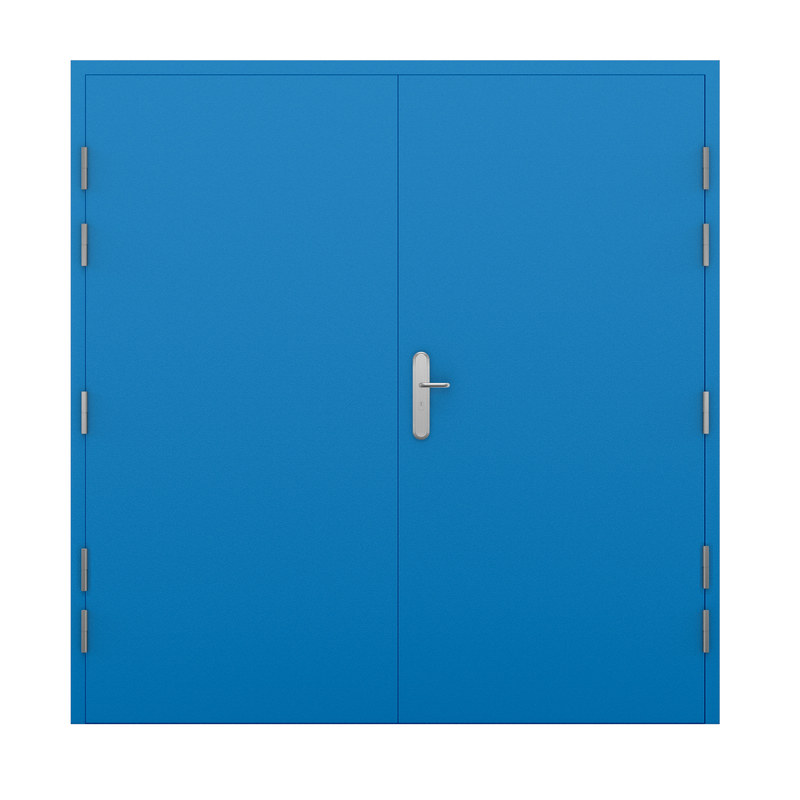 Our Ultra Double Steel Doors are available in a larger variety of sizes, ranging from 1295mm to 2195mm wide (external frame size). 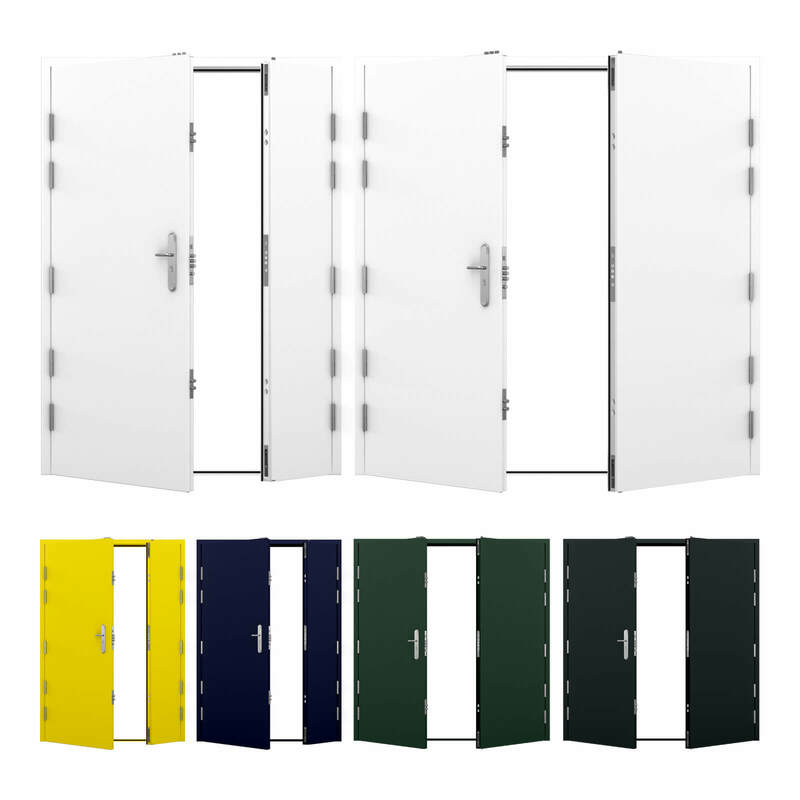 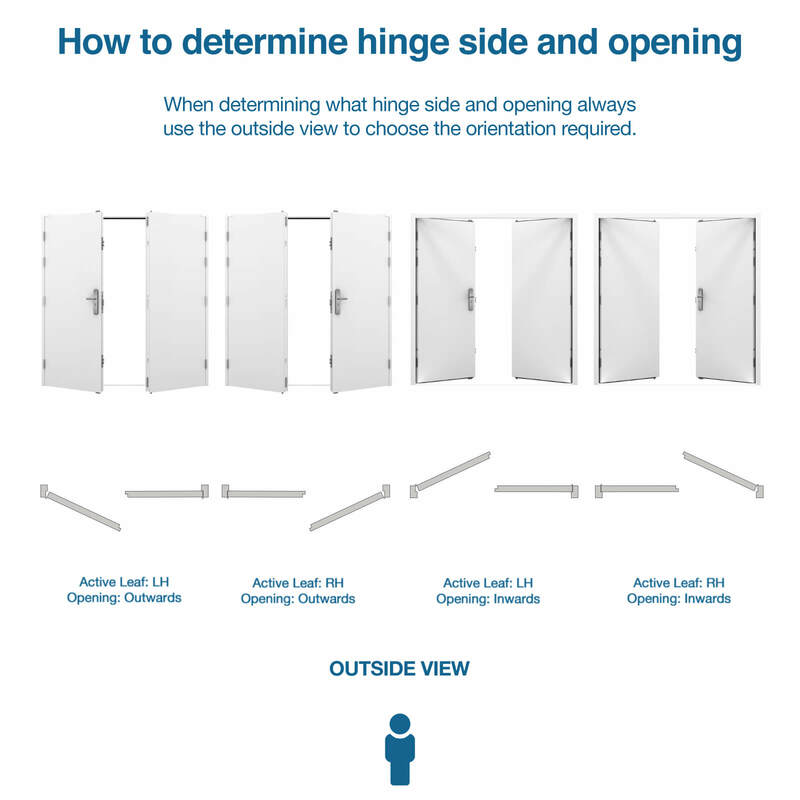 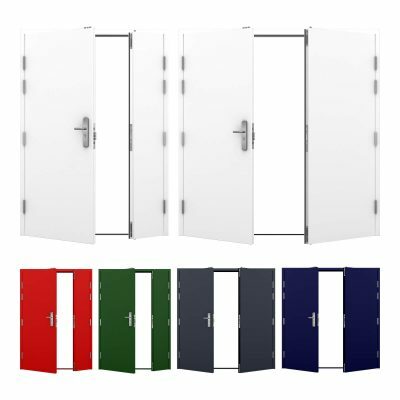 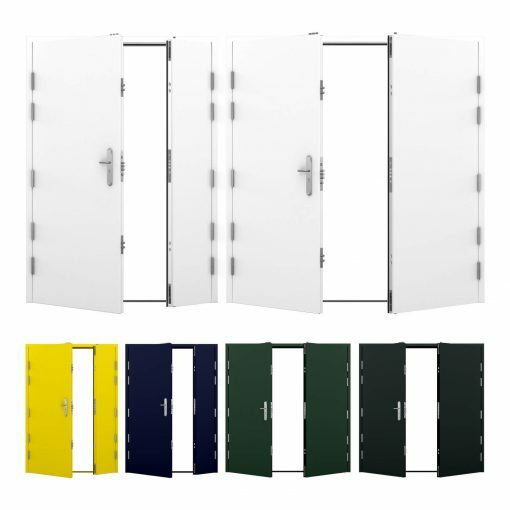 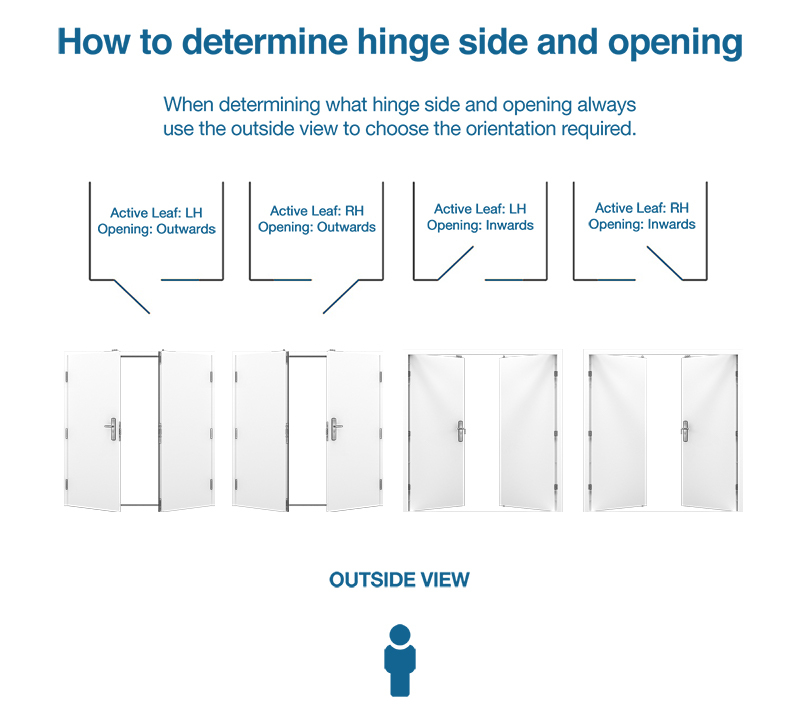 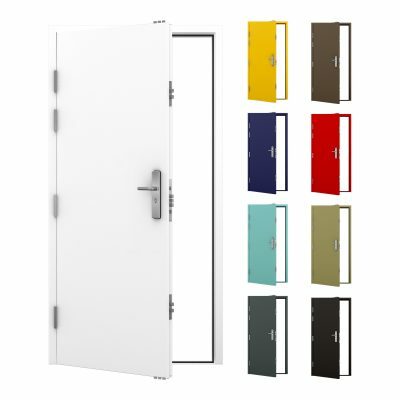 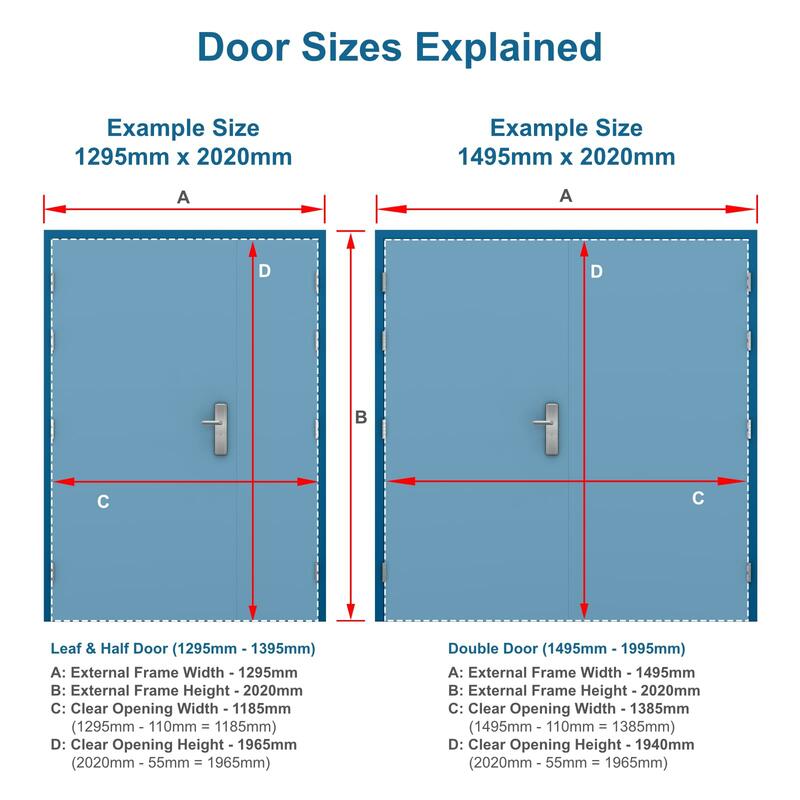 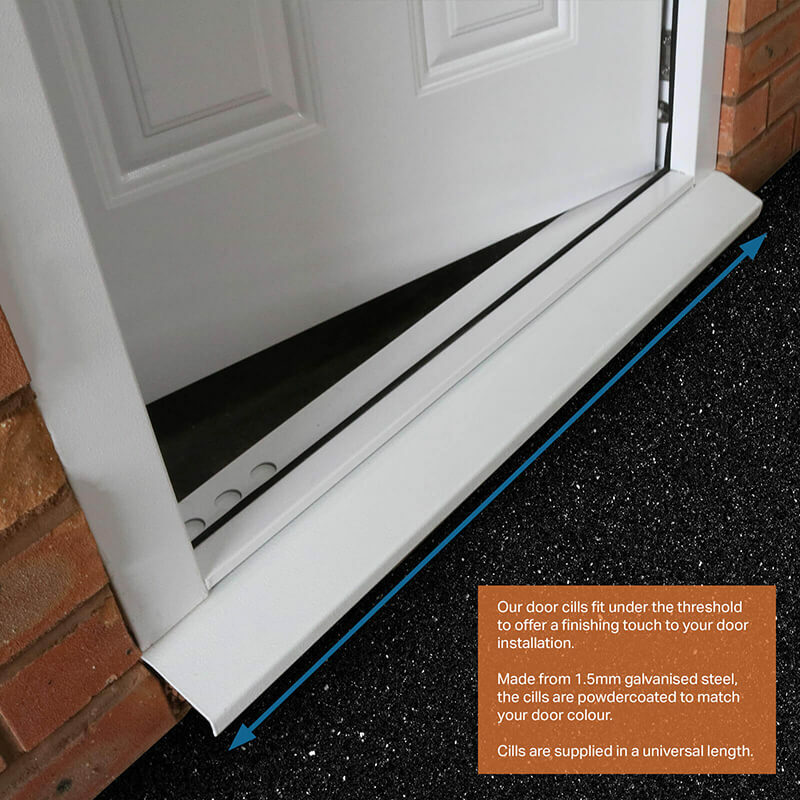 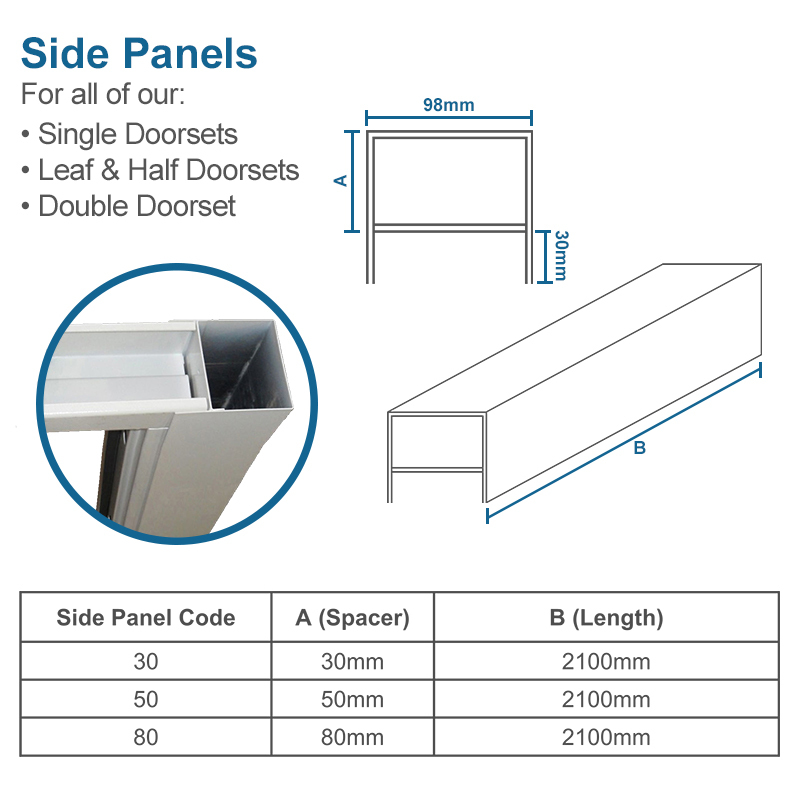 This steel door is great for disabled access, it also complies with the Disability Discrimination Act by having a level threshold with a maximum upstand of 12mm with chamfered edges. 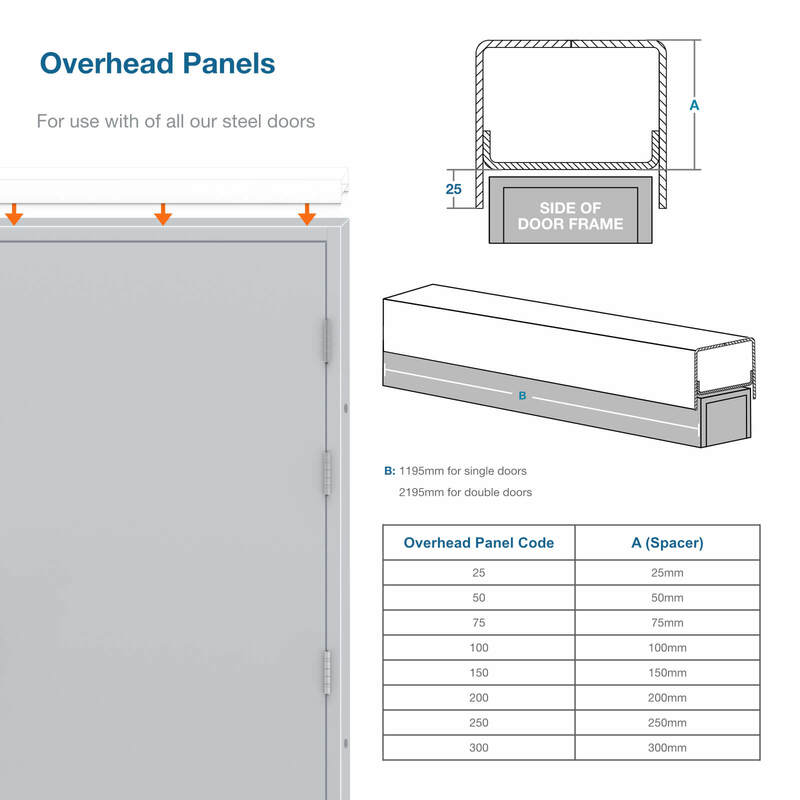 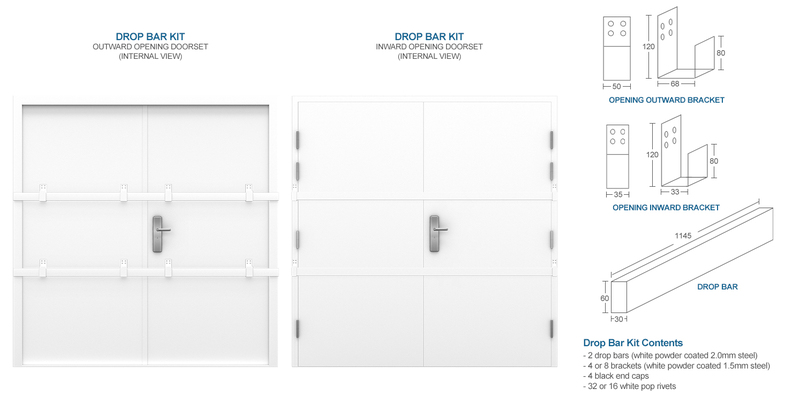 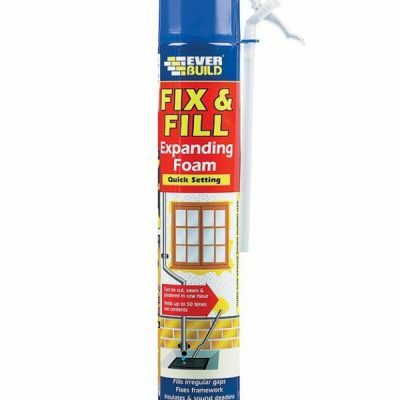 With 10 stainless steel heavy duty lift off hinges, 12 dog bolts and 2 concealed flush bolts top and bottom. 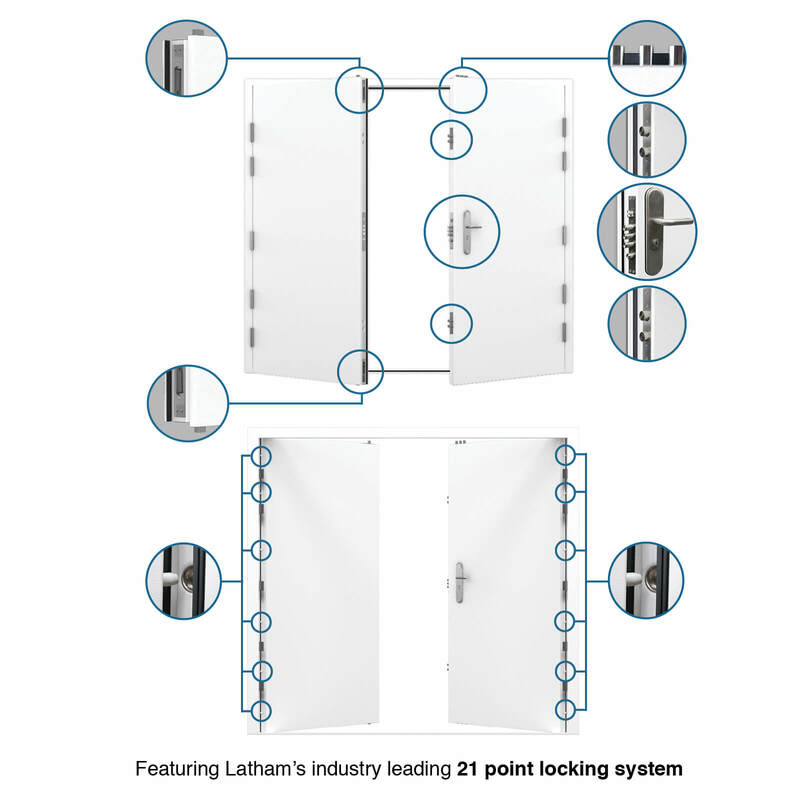 Overall, an impressive 25 points secure the door leaf in the frame. 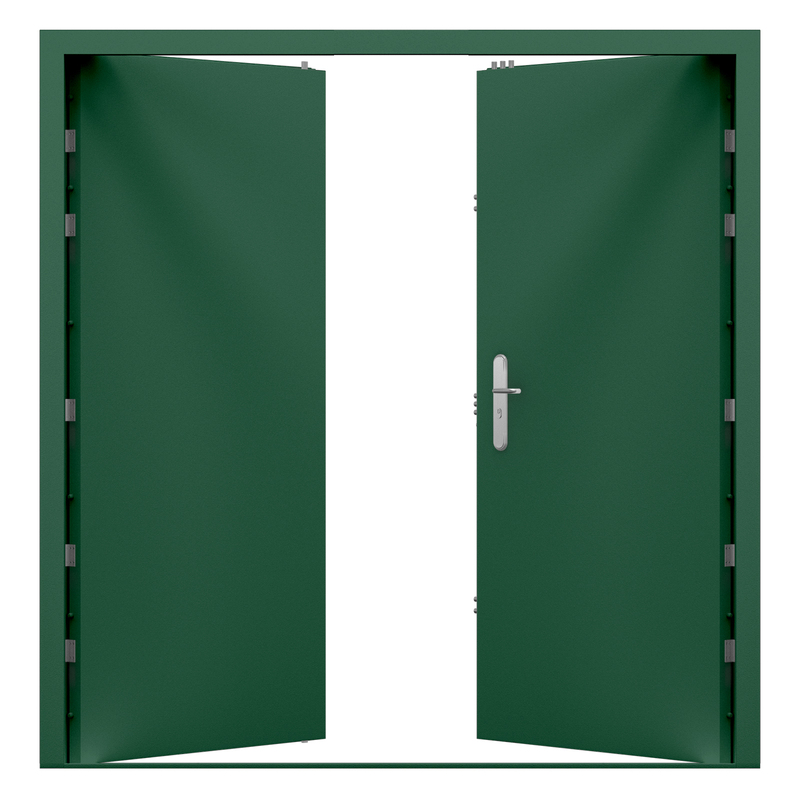 Equipped with a fireboard core for increased thermal, acoustic and impact properties, our Ultra Double Steel Doors have been tested to an STS202 BR2 standard. 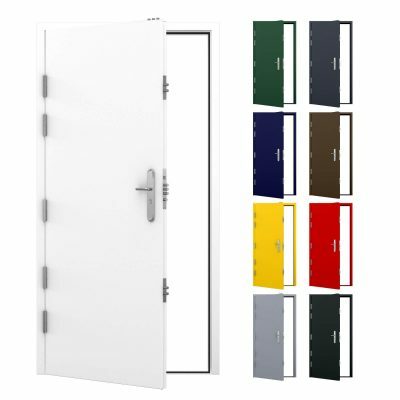 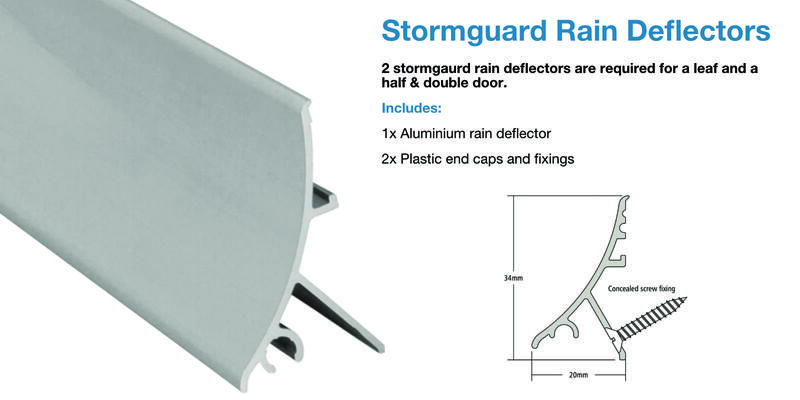 Whatever the setting, all of our steel security doors are fitted with weather and draught proof seals as standard. 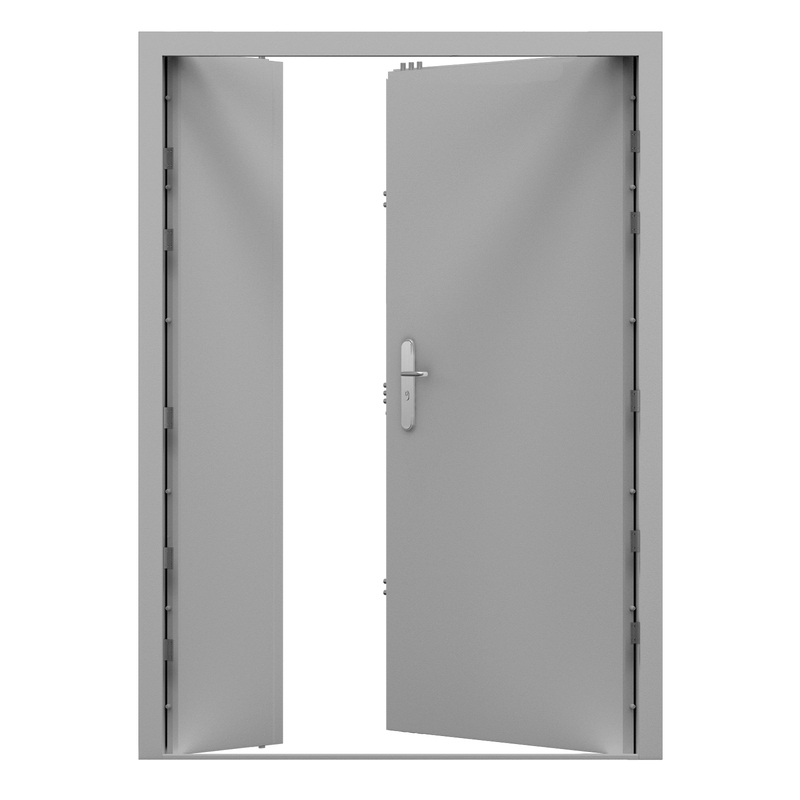 This means they will last a long time, whether they are used internally or externally. 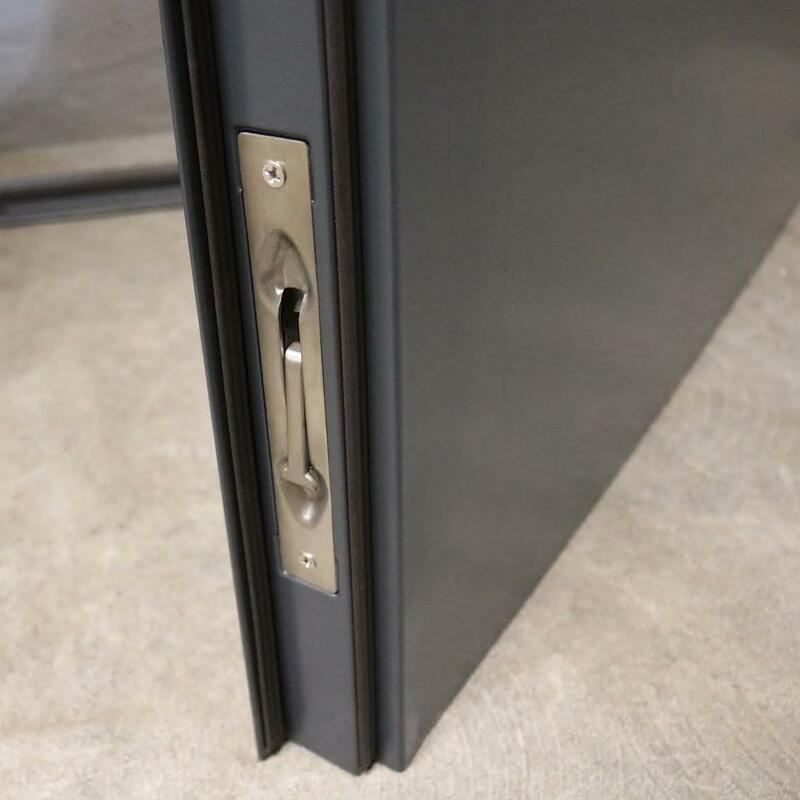 This steel door has 4mm iron bars internally, an integrated innovative barb-like jemmy bar lip and is 20mm thicker than our heavy duty doors.